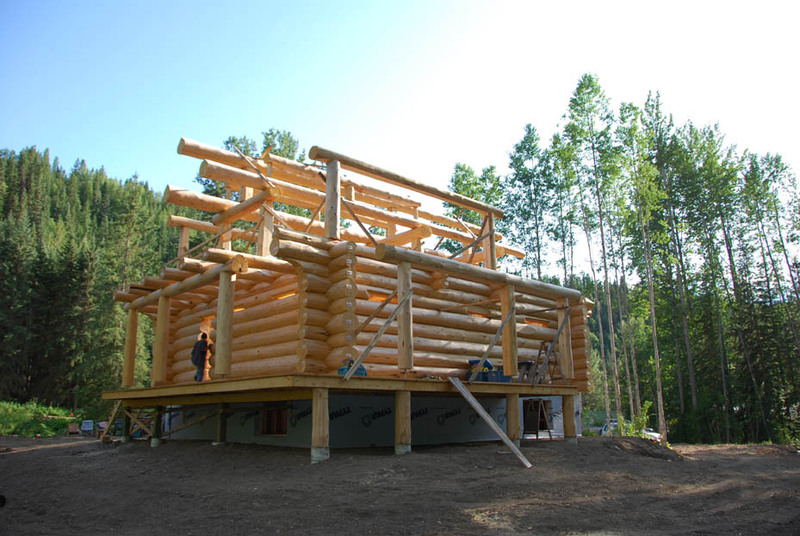 We construct our log shells using 16 - 18" winter-cut Lodgepole pine or Engleman spruce logs. 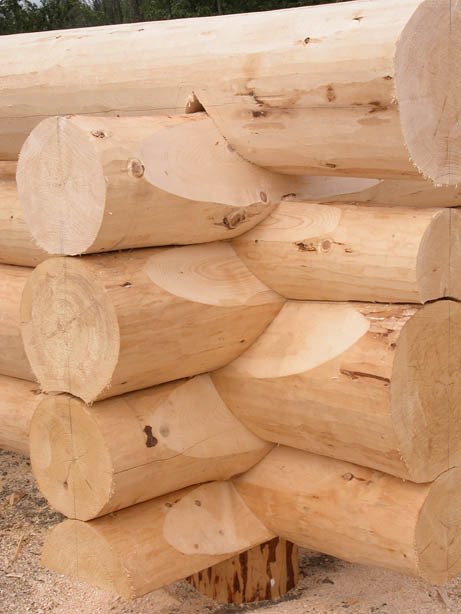 Each log is hand peeled and individually scribe fitted. 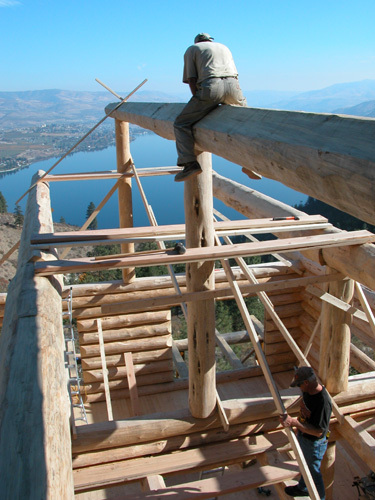 Log stairs,railings and exterior decks with log supports are additional items and are not included in our basic log shell prices; please visit our Stairs,Railings& Decks page for more information. Local engineering and plan-drafting expertise is available. 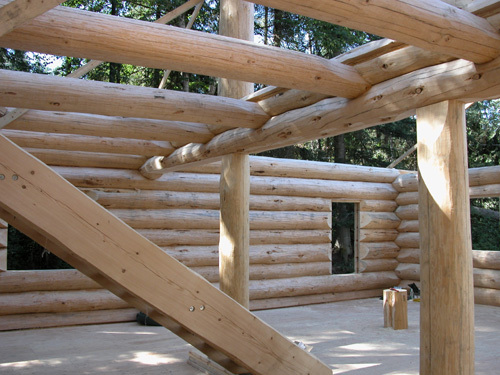 Our log shell packages do not include any windows & doors or any dimensional materials. Trucking and reassembly costs are additional expenses and are the responsibility of the owner. These costs vary depending on the owner's location; please Contact Us to get more information.